Something you just never see, this is a terrific lot. 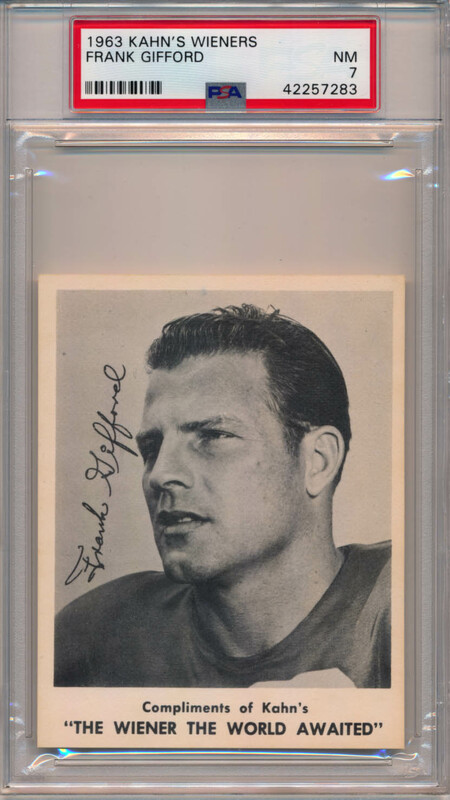 Content is as follows: Barnes, Frank Gifford PSA 7,, Huff, Katcavage, Lynch (signed), Patton, R. Brown (signed), Robustelli, Shofner and Tittle. Condition averages Near Mint overall.